Consumer Reports recently wrote an article about the high fees that Comcast and other cable companies are nontransparently adding to their customers' bills. They are also collecting signatures if you would like to sign the petition. The article is located at www.consumerreports.org/tv-service/cable-tv-sneaky-fees-what-the-fee. The article fails to mention that you can save a considerable amount of money by using your own DVR instead of using the equipment available from your cable company. The Consumer Reports article also incorrectly indicates that "you have to rent your cable box." With very few exceptions, federal rules require that cable companies allow their customers to purchase their own cable box, DVR or HTPC. 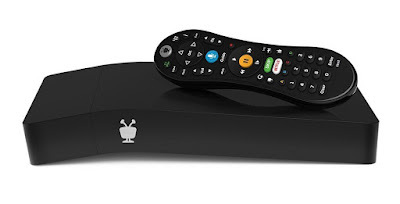 The blog posts Save Money on Your Cable Bill by Using Your Own DVR and TiVo BOLT VOX vs. SiliconDust Prime 6 vs. Comcast DVR Price Comparison have more information about using your own DVR or home theater PC. My Xfinity DVR is included in the price of my Comcast package. How would purchasing my own DVR not just increase my costs? Comcast is allowed to include a DVR in a cable package, but the Federal Communications Commission requires cable companies to give you a discount if you choose to use your own equipment instead. There are very few exceptions to FCC Rule 76.1205(b)(5) that requires this. To save the most, it would be best if you switch to a package that includes only a cable box. If you are willing to switch, you can return the cable box and still use the CableCARD in a DVR or HTPC that you own. With one CableCARD, you should get a discount on your bill for using your own equipment, and there should be no charge for the CableCARD. Good luck.